We offer a 10% commission for every sale. We will send you a monthly statement, including a summary of your traffic, statistics and a summary of your commissions earned. We offer real time traffic and sales statistics 24 hours a day for your convenience. To ensure you're credited for every sale you refer, we have automatic cookie updating. The cookie tracks for 365 days and updates itself on each visit. This means that even if a customer returns 365 days later you will still get credit. 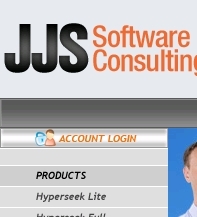 Built on proven, Enterprise Strength Technology, the Hyperseek PPC Search Engine Software offers you unbeatable strength, speed, reliability, and the potential for unlimited growth. Tested to handle over 10 million keyword bids, over 1 million accounts, and to serve upwards of 2 million searches per hour, Hyperseek is built for pure durability and reliability.